(W) Frank Miller (A/CA) David Mazzucchelli. One of the most important and critically acclaimed Batman adventures ever! 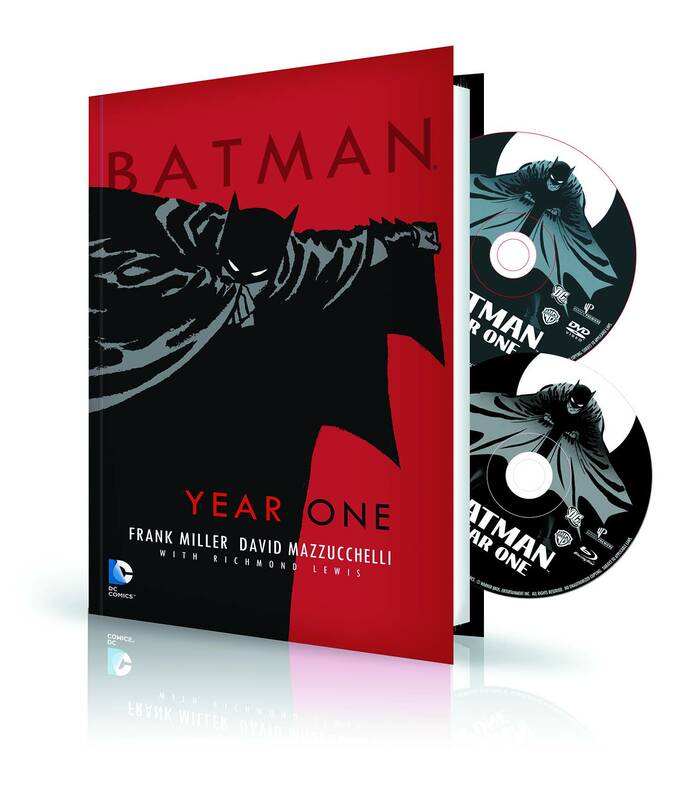 In addition to telling the entire dramatic story of Batman's first year fighting crime, this collection includes loads of reproductions of original pencils, script pages, promotional art, unseen Mazzucchelli Batman art and more! 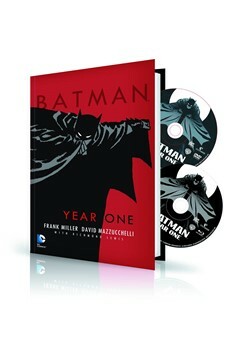 Accompanied with the book is the hit BATMAN: YEAR ONE animated movie on Blu-Ray and DVD discs. Read the book, watch the movie!.